Finishing nursing school is an amazing accomplishment, so if you’ve made it to this point congratulations! However, nursing school is only half the battle, and nailing that interview for a position as a registered nurse is your next goal to accomplish. Here are some interview tips to help you be both professional and personable. Whether this is your first nursing job interview or you are applying to a new position, there are some interview tips for putting your best self forward with the hopes of impressing the nursing manager. When the warmer weather hits, clothing becomes lighter and brighter. It’s ok to incorporate color and fun prints and patterns in your interviewing attire, but keep them to a minimum. You want to look clean, neat, put together, and professional. Avoid wearing gaudy jewelry or loud makeup as both can be distracting. Since its 2017 and the term “business casual” can be used for many professional situations, it’s always a safe bet for men and women to show up in either a suit, dress pants, blouse, dress, skirt (at an appropriate length! ), dress pants, a button down shirt, or a tie. It’s ok to get fancy with the footwork–for women, ballet flats, heels (that you can actually walk in), ankle booties, and tall boots are a great option. Men, any kind of dress shoe is appropriate, just avoid wearing boots and sneakers. Remember to pay attention to details, making sure your attire is ironed, clean, and doesn’t have any funky smells. Also, if you have furry animals at home, be sure to use a lint roller to eliminate any pet hair. ➥ Several copies of your resume. You never know how many people will be sitting in on your interview. ➥ One or two forms of identification. Some facilities will require you to show appropriate identification to access the facility to get to your interview. ➥ Copies of letters of recommendation and references. Managers usually ask for these items during the interview process. ➥ Leave phone at home or turned off. While it may seem daunting, you can survive without your cell phone for a few hours. There is nothing more unprofessional that having your cellphone go off during an interview. During the interview, you will most likely be asked questions about yourself and your experience. Be prepared to talk about typical topics, such as teamwork and how you handled a difficult situation. Managers like to see that you are capable of working well with others in a team-like context. Do your research on the facility you are applying to as well. Sometimes, managers may ask you about their facility’s mission statement, or what you made you want to apply to their unit. A response tailored to that specific facility shows the managers that you took the time to research and are interested in obtaining a career there. 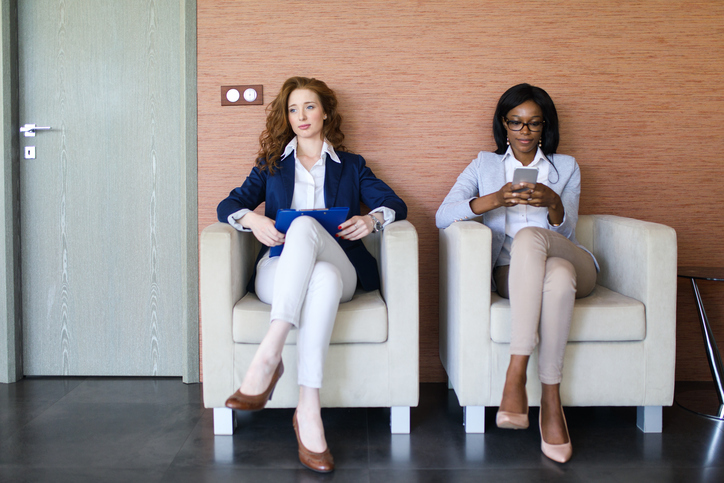 Whether you are a newbie or a novice pro at interviews, interviews can be a nerve racking experience. If you are prepared, look good, and feel good, you will have the confidence to have a strong interview. Remember to enter the room with a smile and a strong handshake, and have confidence in yourself. You are going to make a terrific nurse!